Why can't Apple get iPhone's design right? For a company praised for such great design, Apple sure seems troubled getting out an iPhone that works right. Death Grip -- and its signal stifling capability -- marred iPhone 4 from Day One. Consumer Reports still won't recommend the handset, even after giving it a high rating. Successor 4S comes along and, uh-oh, suffers from heap, big battery-life problems. The story is everywhere -- even Apple apologist blogs report it. Perhaps the company should invest more resources in functional design than appearance. Maybe Apple simply is out of its depth. The company has received generous praise for launching a smartphone from scratch and dramatically changing -- arguably pushing ahead -- the entire mobile market with it. Apple deserves kudos for its accomplishment. But the company also is a newcomer to a market where depth-of-engineering is necessary to get products right. The smartphone category is also one where form shouldn't supplant function. Cell phone design isn't easy, and I don't profess to be any kind of expert. But it doesn't take a Masters degree in industrial design to see that Apple has got problems with iPhone 4/4S. From my perspective as someone who during the mid Noughties conducted consumer surveys about smartphone priorities, battery consistently ranked near the top and telephony often higher. iPhone 4 suffered signal problems and its successor has battery-drain issues. From a usability perspective, failure to deliver core functionality ranks among blunders any company can make designing products. When working as an analyst and consulting with high-tech vendors about cell phones, my colleagues and I delivered a consistent message: Additional features cannot take away from core functionality. Anything that compromises what's core should be verboten. For cell phones this is particularly true of telephony and battery life, two features Apple has, so far, mucked up in successive iPhone releases. Depth-of-engineering is particularly problematic for Apple because the company is so secretive about new products. Because of the intricacy involved in balancing the many features against one another, broad testing is necessary. I assume, but can't definitely say, that Apple limits access to new prototypes to prevent leaks about them -- then there is the lost iPhone 4 prototype from last year and what that might mean for future testing. If testing is limited, and any smartphone manufacturer might do this, depth-of-engineering can make a huge difference getting the right balance of features that don't compromise those that are core. Compare to vendors like HTC, Motorola, Nokia, Samsung or Sony, which have produced consumer electronics products -- cellular handsets among them -- for much longer than Apple. Motorola invented the cell phone in 1973 and Nokia the smartphone in 1996. These companies have deep device-engineering cultures. It's part of their DNA. Apple apologists will argue, with some justification, that the Cupertino, Calif.-based company has deep engineering culture, too, because of Macs and iPod. I agree. But cellular handsets, smartphones particularly, are considerably more complex. Something else: Apple often makes functional compromises for purposes of form. The list of products following this pattern is long and the approach is more part of Apple's engineering culture, I contend. There, looking at Mac and iPod, Apple did fairly well balancing features. Apple made numerous compromises with the original iPhone, such as no 3G or MMS, but did so for the purpose of balance and protecting core functions telephony and battery life. The company took greater risks with iPhone 3G and 3GS, but still managed to maintain balance -- although personally I was not satisfied with battery life, never able to make it one work day on one charge. 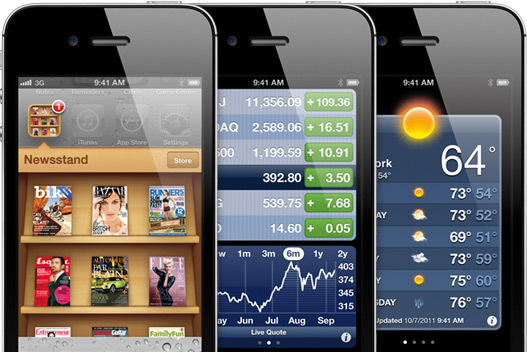 But in pushing design limits with iPhone 4 and iOS 4, where form superseded function, Apple faltered. Battery life was exceptional, but the antenna design -- mandated in part for appearances -- brought on Death Grip and widespread complaints about dropped calls, even as AT&T improved its cellular network. A company with deeper-engineering function culture might not have so blundered as Apple did with iPhone 4's antenna design. Now there's iPhone 4S and the battery-sucking problem. Yesterday, my colleague Ed Oswald joined the chorus of iPhone 4S battery life posts, offering a list of solutions. In group chat, I teased Ed, calling him an Apple apologist for treating the topic so lightly. "My iPhone 4s battery seems terrible! Almost equivalent to my 3GS and it's terrible battery life". "Nearly every day my phone has been completely drained of battery before the end of the day, starting with a full charge. I didn't realize that this was a persistent and real problem until I had had the phone for a week". "My iPhone 4, even on iOS 5, would only drop about 2 percent overnight but my iPhone 4S drops about 9-10 percent. And I've already calibrated the battery by letting it drain to 0 percent and then charging it all the way to 100 percent". "I have AT&T, a guy in my office with Verizon has the exact same problem". This is completely ridiculous...It's crazy that I have to have a device with 75 percent of the functionality turned off in order for the battery usage to be at a semi 'normal' level. There is NO WAY ON THIS EARTH that my phone would get nearly half of the time that Apple advertises this phone should last. I've turned off notifications. I've turned off the feedback. I've turned off location. I've turned off calendars. I've turned off WiFi. I've deleted things. I've drained the battery and recharged it all the way. Bottom line, the battery life still *****. For a phone sitting on standby in the locked mode, my battery should not continue to drain the way it does (and I have good network strength where I am)...I feel like I have purchased a device which is MAJORLY FLAWED. Yesterday, Apple issued a statement minimizing the numbers and blaming iOS 5: "A small number of customers have reported lower than expected battery life on iOS 5 devices. We have found a few bugs that are affecting battery life and we will release a software update to address those in a few weeks". If that's true, why aren't more iPhone 4 users complaining about battery-drain problems? Whether hardware or software, iPhone 4S carries on the sad tradition of its predecessor, and I can't help wonder if a company with deeper cellular manufacturing engineering culture and one that puts function before design would have these problems. Google outsources its pure Android phones to longstanding cellular manufacturers -- for a reason; now the company is buying engineering expertise and culture with Motorola Mobility. I own the Samsung Galaxy S II, which battery life exceeds what I got from iPhone 4. Now why is that?